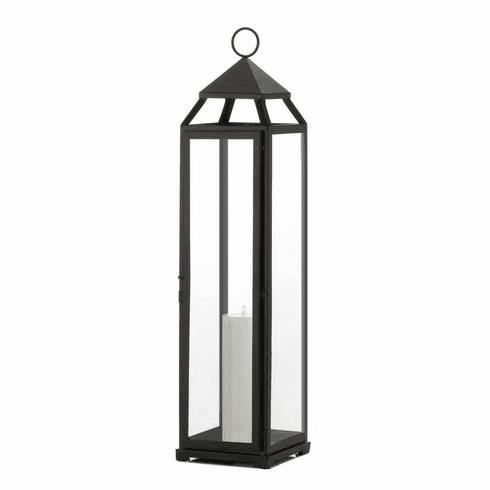 Add some intrigue to your decor with this eye-catching extra tall black lantern. 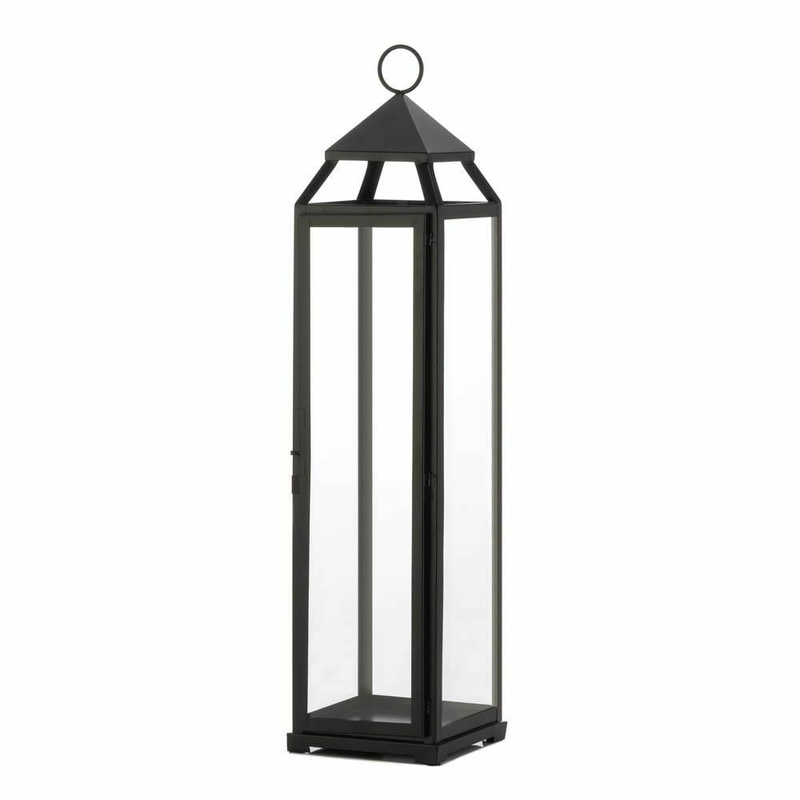 Sleek and stylish, this decorative lantern features a thin iron frame in a black matte finish, encased with glass window panes. Place a large pillar candle inside the lantern to instantly set the mood of any room. Weight	7.2 pounds. 7" x 7.25" x 29.8". Iron, Glass. 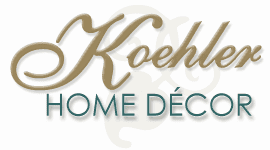 UPC Number: 849179038144.